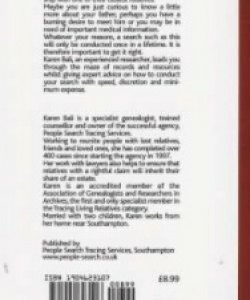 Karen Bali, an experienced researcher, leads you through the maze of records and resources whilst giving expert advice on how to conduct your search with speed, discretion and minimum expense. Have you lost contact with your father? Perhaps you never knew him or have only vague childhood memories. For one reason or another there are many thousands of adults in the UK who have no relationship with one of their closest relatives. 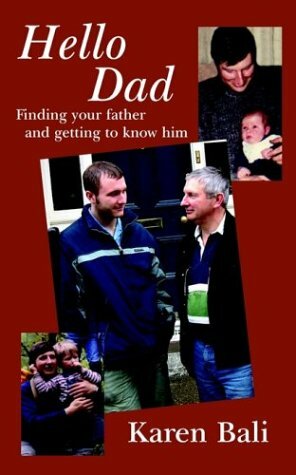 Maybe you are just curious to know a little more about your father, perhaps you have a burning desire to meet him or you may be in need of important medical information. Whatever your reasons, a search such as this will only be conducted once in a lifetime. It is therefore important to get it right.